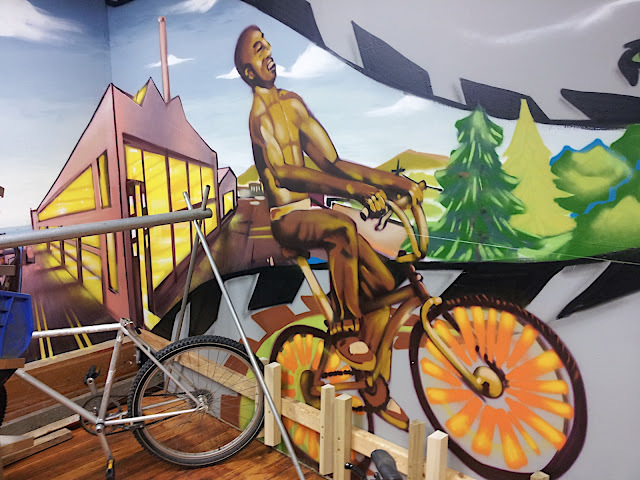 As part of its “Healthy Lifestyles” campaign, CRP was commissioned by Richmond Spokes to create a mural inside their new Spokes Shop on Harbor Way. CRP artists Elijah Pfotenhauer and Desi W.O.M.E tied in Richmond landmarks such as the Richmond Plunge and the Craneway with images of gardening and diet along a bike trail. The mural debuted with the opening of the Spokes Shop and a community block party.